Doctor Inamdar is a licensed physician and a board certified child, adolescent, and adult psychiatrist, and member of the Clinical Faculty at UCSD School of Medicine, Dept. of Psychiatry and Adjunct Clinical Faculty, Department of Family Practice, and Lake Erie College of Osteopathic Medicine. Dr. Inamdar is also the Medical Director at the Center for Discovery a leading Residential and Outpatient eating disorder treatment program for women, teens and adolescents with mental health, and substance abuse disorders. Dr. Inamdar is a Diplomate of American Board of Psychiatry and Neurology and the American Board of Psychiatry and Neurology – Child and Adolescent Psychiatry. She has over 20 years of extensive expertise in the diagnosis and management of various psychiatric disorders. Her approach leverages the unique strengths, challenges, and needs of each individual and by focusing on the positive. In a word, she brings out the “best” in each person. She lives in La Jolla with her husband and their 3 boys. She loves reading, exploring new technologies, buying new gadgets and traveling to her son’s basketball, lacrosse and tennis games. Dr. Inamdar’s care is based on the premise that patients who require mental health care respond best to a combination of therapy and medication. She places special emphasis on the integration of a psychotherapeutic approach, with careful and limited use of medication prescribed only when necessary. Dr. Inamdar applies her knowledge in neuropharmacology and ongoing research towards newer treatment options to improve patient health. Her willingness to work with patients seeking to explore alternative/complementary treatments, and working in collaboration with a dietician/nutritionist, and personal trainer, helps to look at treatment options beyond the traditional medications-only approach. There are patients who come to Dr. Inamdar and Achieve Medical Center to achieve a complete integration of care by receiving both medication treatment (psychopharmacology) and therapy provided solely by Dr. Inamdar alone, or in coordination with other team members at our center. They are often referred by their pediatrician, primary care physician or school to help address their various mental health and psychiatric problems. Psychologists and Therapists in the community who already have a working therapeutic relationship with their own patient often refer their patient to Dr. Inamdar for evaluation and medication treatment (psychopharmacology), if needed. Due to Dr. Inamdar’s style of practice, they know that she is not quick to medicate and that in many cases she may not recommend medications. In those situations Dr. Inamdar will work to maintain the patient’s relationship with his/her therapist and keep close contact with the referring individual. 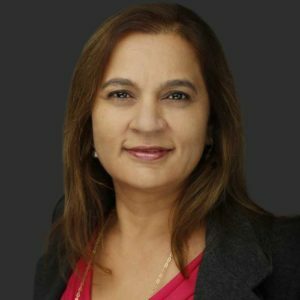 Dr. Inamdar sees clients in her offices at La Jolla and EastLake and also uses video conferencing to connect with patients as far as Palm Springs, San Luis Obispo, Phoenix, South Dakota, Bangalore, India, Mexico, and Lusaka, Africa. Diplomate to the American Board of Psychiatry and Neurology, Inc.